How I wish weekends could be just dedicated to food quests like this impromptu Ampang one. 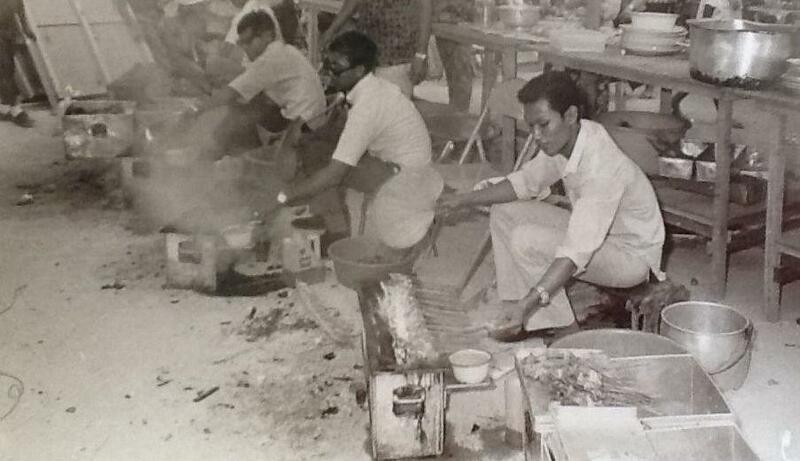 I had read on Goreng about Majid Satay's legacy being past down to his grandson Zaini. For the uninitiated, Majid Satay was THE satay of those good ole days. Just ask your parents and they'll remember this iconic satay man at Campbell Road, when that was the place everyone hung out at. 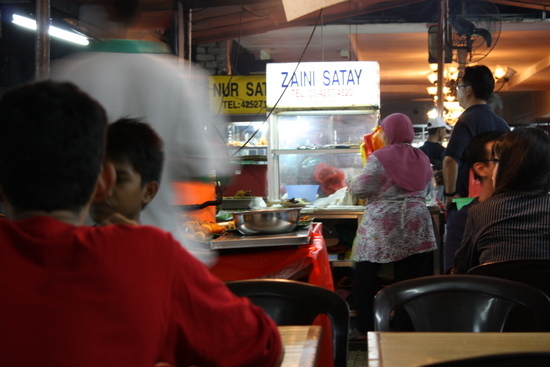 Zaini's Satay is located at the same stretch with the famous Naan Corner. In recent years, I admit the Naan Corner is no longer a favourite place for me as I find their roti bom and curries a bit overpriced even though you dine with style under chandeliers. There's two satay stalls here but zoom in on Zaini's which usually has a long queue of people waiting. We're too late for the perut (intestine) satays so we make do with the beef and chicken satay. I also ordered the chicken liver satay to appease my cravings for some spare parts. Love the beef satay as it was juicy, smoky and tender. Seems they only use beef tenderloin. The chicken satay has less fatty bits (a plus point with someone who hates chicken skin!) but is quite juicy. I love their peanut sauce, not overly spiced with chillies like the other places but still creamy with the crushed fried peanuts. The chicken liver satay was generously skewered with the liver and gizzards. Sometimes other stalls tend to undercook these kind of satays but Zaini's get theirs cooked right with a nice crusty exterior and soft centers. Really lovely and chunky satays. 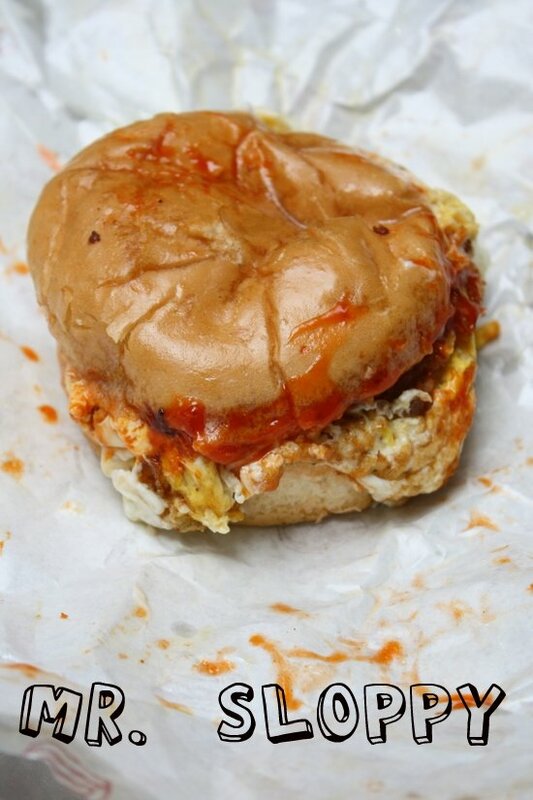 Best of all I reckon is you also get to eat the super sloppy OM burger since it is right next door to the Naan Corner. We tried their OM hotdog that night and it was incredibly sloppy (no way this is for date night) but incredibly delicious with a black pepper sauce mingling with the egg. 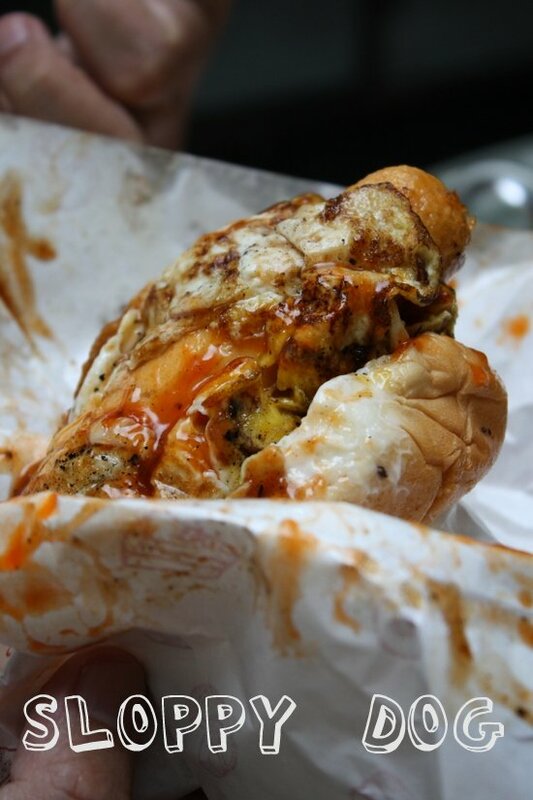 The burger stall also started selling a new version called the oblong burger that seemed quite popular. We both thoroughly enjoyed our late dinner that night. A little far but still completely worth the long drive to sample the best of both worlds: sloppiness you want to sink your mouth into and juicy large sticks of satay with creamy peanut sauce. So break away from the ho-hum of life and make a date with this place soon. When it comes to satay, the first name that come rushing to our minds, mostly would be Satay Hj Samuri. Satay Hj Samuri was once the most popular satay in town. People would travel all the way to Kajang only for that delicious satay of his. Sadly, things are not the same anymore. Most of us would be jerking out their lips upon hearing Satay Hj. Samuri. It has obviously lost its touch. It all started when they began franchising their business. The quality deteriorated tremendously thereafter. It has gone from bad to worse. It's a very sad & disappointing fact for such a good business. Hj Samuri needs to come up with a fast action plan in order to salvage that family business of his. I'm not gonna talk about Hj Samuri in my entry today but it is somehow indirectly related to him. Satay seems to be one of Marsya's fave. I had this problem before where I just couldnt find any good satay around Ampang / Pandan area. Many thanks to my neighbour for introducing Satay Zaini to me. 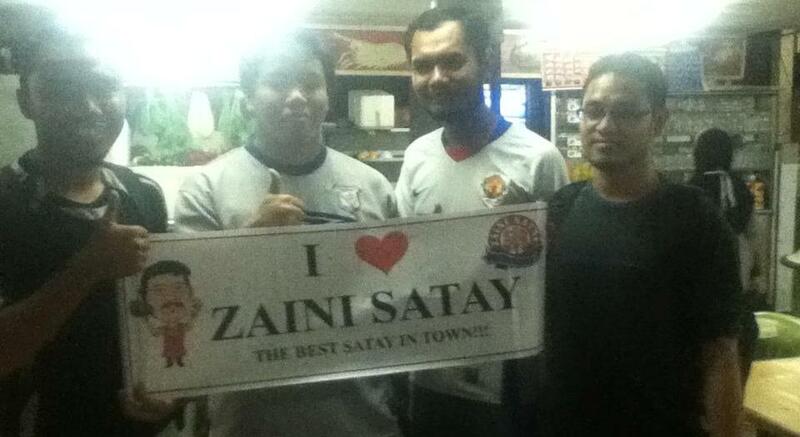 Satay Zaini is located in Ampang Jaya foodcourt - a few blocks away from the International School Kuala Lumpur (ISKL). If you're coming from P.Indah taking the MRR2, turn to the Ampang exit & go straight till you see the Flamingo Hotel on the left. Right after the hotel, there's a traffic light ahead where you should take the right turn. At this point yoo'll find Petronas to your right & ISKL on the left. Proceed e few more meters ahead until you reached the foodcourt on your left. Zaini Satay is located right opposite the 7 Eleven. Zaini's satay is absolutely marvelous. They have chicken, beef & mutton satay of which are so juicy & succulent. 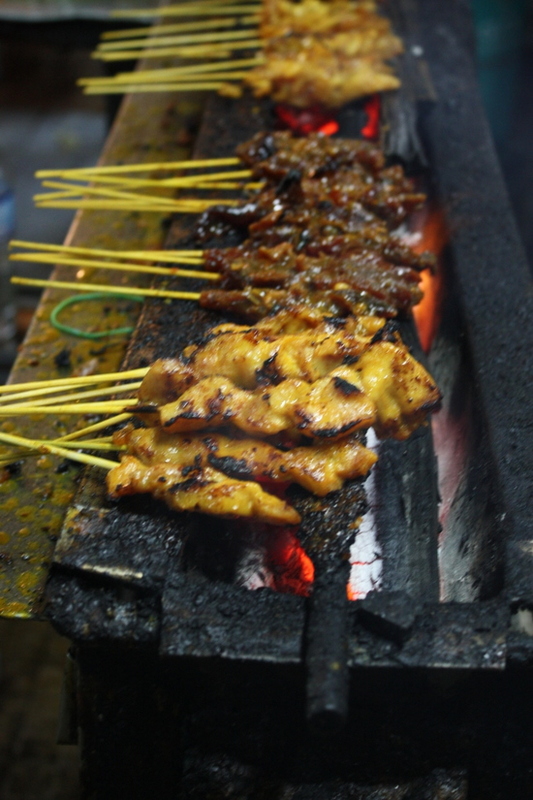 The rule of thumb for a satay is that the meat cant be too dry. You wont be able to taste the sweetness & juiciness of the meat when it's too dry. This is something you cant find in Zaini's satay that left you in total satisfaction. It's priced @ 70 cents per stick which is quite normal & reasonable in comparison with the size of each piece. As for the peanut sauce, I am not in the position to comment coz I'm the type who dont eat satay with the sauce. Why ? Becoz the sauce will kill the scrumptious taste of the satay. Those who have been searching for a good satay like me, here's the place to go. One thing for sure is that you wont regret it ! 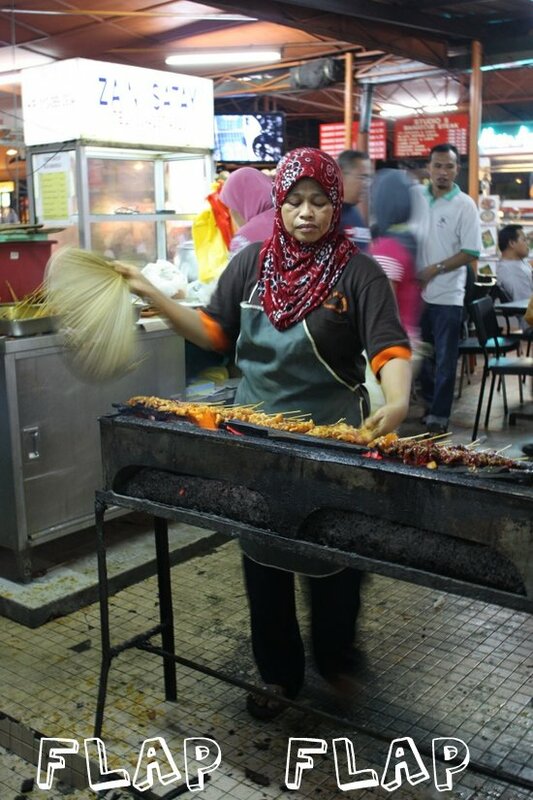 Zaini Satay, descendants of the famous Majid Satay from the 1950s, has continued the tradition of serving up the best grilled meat skewers. I learnt everything from my mother-in-law… how to make the peanut sauce, how to taste and season the meat. Along the way, I modified the peanut sauce recipe a little by mixing large and small groundnuts for better texture. You have to take a lot of care with satay – much like looking after a child. We are careful to maintain our standards and ensure consistent taste and use only good quality meat. My husband and I started our satay business in Happy Garden, a suburb in KL. We also had a restaurant in Campbell Shopping Centre which sold satay, noodles and other food, but we closed that to open this stall in Ampang. Our beginnings are modest. We had a small start-up capital, enough to buy a daily supply of five chickens and 5kg of beef (we use tenderloin, that’s why it is so tender) to make around 200-300 sticks of satay. These days, we sell an average of 1,000 sticks a night and more on weekends. I still like doing this business. I enjoy meeting customers, watch them come back and appreciate my food… that’s makes me very happy. Over the years, I have met so many people, including dignitaries and VIPs. We have even catered for the late Sultan of Selangor at the palace. I have been doing this since 1980 but it is not in my vocabulary to stop working. However, my son Shafiruz has always been interested in the business so I am happy he is taking over. 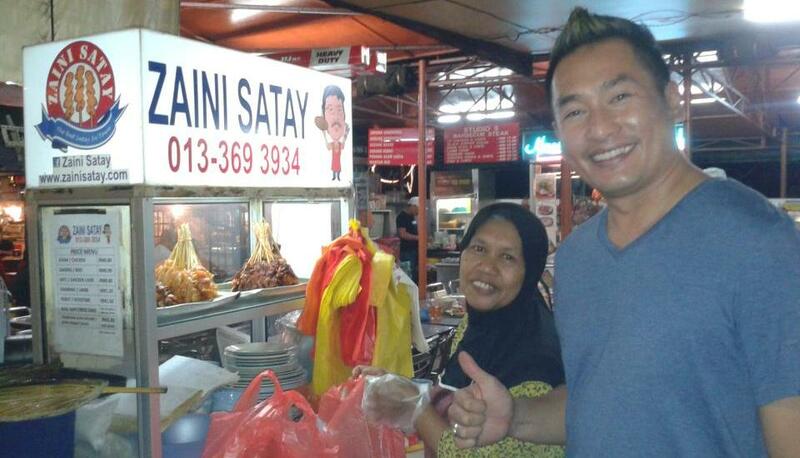 It would be a pity if Majid Satay’s legacy does not continue. 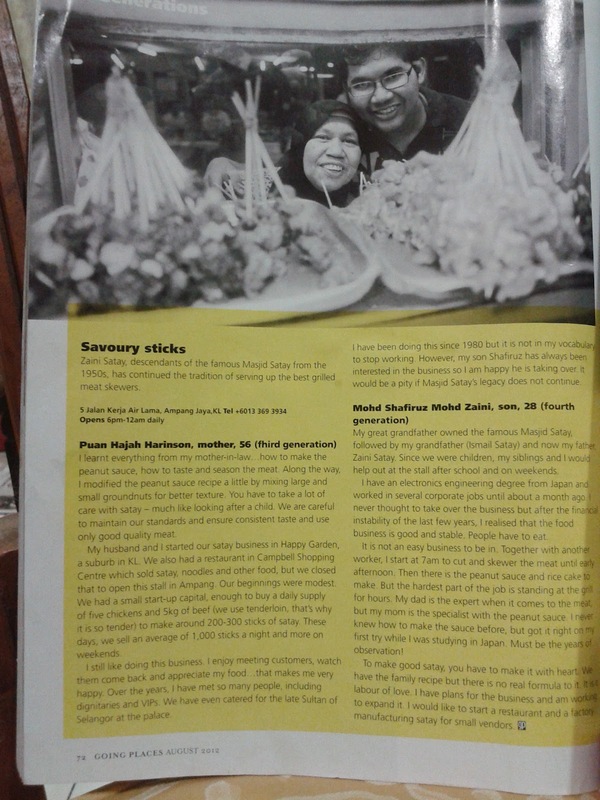 My great grandfather owned the famous Majid Satay, followed by my grandfather (Ismail Satay) and now my father, Zaini Satay. Since we were children, my siblings and I would help out at the stall after school and on weekends. I have an electronics engineering degree from Japan and worked in several corporate jobs until a month ago, I never thought to take over the business but after the financial instability of the last few years, I realized that the food business is good and stable. People have to eat. It is not an easy business to be in. Together with another workers, I start ad 7 am to cut and skewer the meat until afternoon. Then there is peanut sauce and rice cake to make. But the hardest part of the job is standing at the grill for hours. My dad is the expert when it comes to the meat, but my mom is the specialist with the peanut sauce. I never knew how to make the sauce before, but got it right on my first try while I was studying in Japan. Must be years of observation! To make good satay, you have to make it with heart. We have the family recipe but there is no real formula to it. It is a labour of love. I have plans for the business and am working to expand it. I would like to start a restaurant and a factory manufacturing satay for small vendors. Ask your parents where they used to go for their satay fix back in the day, and they will probably say Majid Satay in Campbell Road. Sixties satay legend Pakcik Majid – he was dubbed the "King of Satay" by his customerss! – is no more, but his recipe has been passed down to his grandson Zaini. 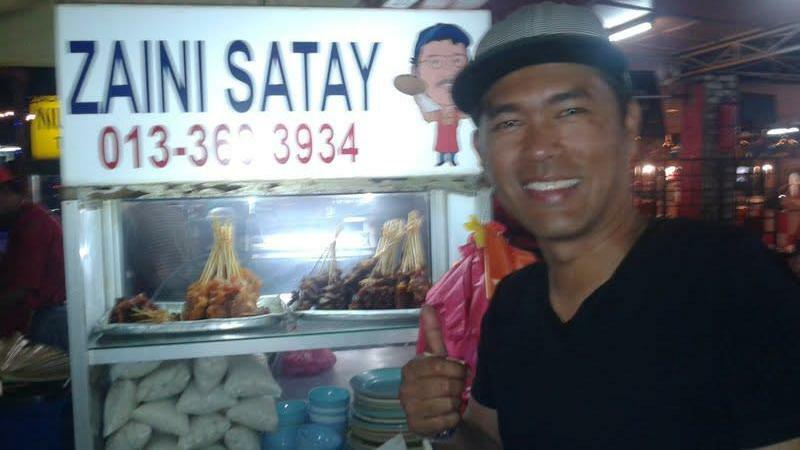 Zaini Satay is all the way in Ampang but is worth the drive – in fact, some people have come from as far as Seremban and even Singapore! Okay, first of all, know that the place is nothing fancy. In fact, the stall is kind of small. But not only is the satay here tasty, Pakcik Zaini, along with his wife Kak Cun and their daughter, always serve customers with a smile. 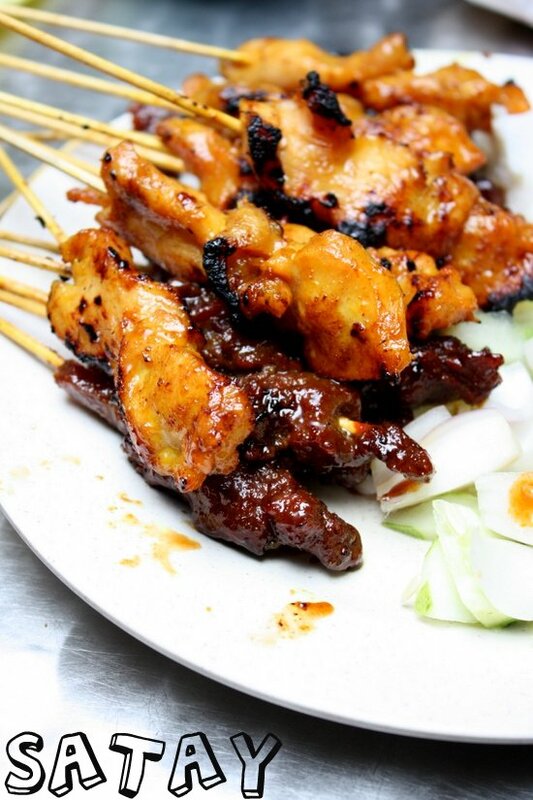 So, here's how the satay tastes: the chicken satay is tender and sweet. The beef ones are also good and and not dry like those you'd find at some places. Kak Cun tells me that they use tenderloin. If you're feeling more adventurous, go for perut tembusu (small intestine) and perut babat. There are also lamb and liver ones. All satays are 70 sen per stick except for the liver and the stomach ones (RM1 and RM1.20 respectively). Kak Cun reassures me that no Ajinomoto or seasoning goes into the satay which makes their satay stand out from the rest. The stall opens at 6pm but preparation starts early – 8am! It takes three hours just to cook the peanut sauce alone! The peanut sauce is fried without oil, by the way. You can also order the satay for your private parties; especially popular during Raya season. Zaini Satay @ Naan Corner opens from 6pm to midnight daily. It closes when they have a function to cater to, so ring them beforehand at 013-369 3934 begin_of_the_skype_highlighting 013-369 3934 end_of_the_skype_highlighting if you want to make sure they are there. Address: Jalan Kerja Ayer Lama, Ampang. Credit to Goreng Dot My.